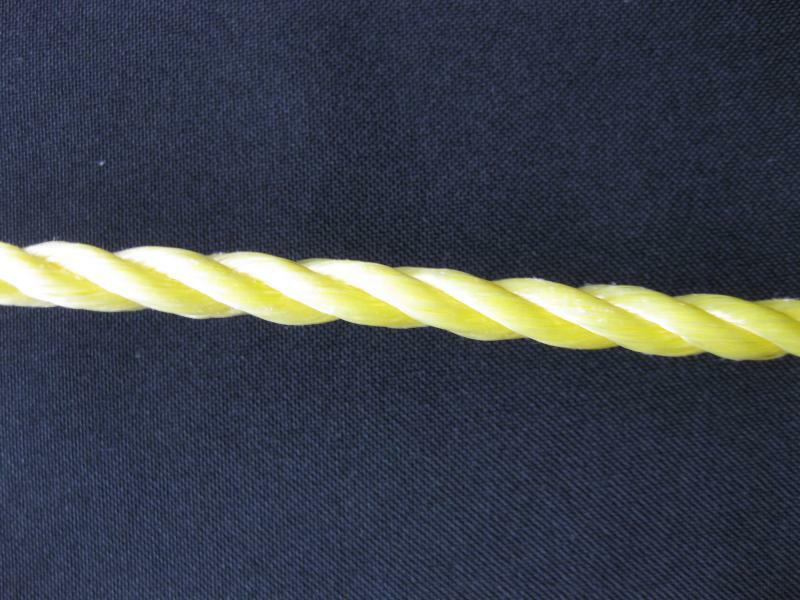 3-Strand Twisted Polypropylene Rope - 3/16" x 2,125 Feet - SOLID YELLOW. Made with 100% Polypropylene and twisted to produce the best quality polypropylene rope available anywhere. Our torque balanced twist ensures maximum tensile strength and good abrasion resistance. Idea for general tying, tarps and winter boat covers where strength is not critical and some stretch is allowable. Floats on water and has limited resistance to sunlight. Resists rot, mildew, oil and gasoline. Tensile Strength 720 pounds or 327 KGS, Weight 0.59 Pounds per 100 feet or 8.76 grams per meter.